for $579,000 with 4 bedrooms and 4 full baths. This 2,789 square foot home was built in 2006 on a lot size of 0.2200 Acre(s). 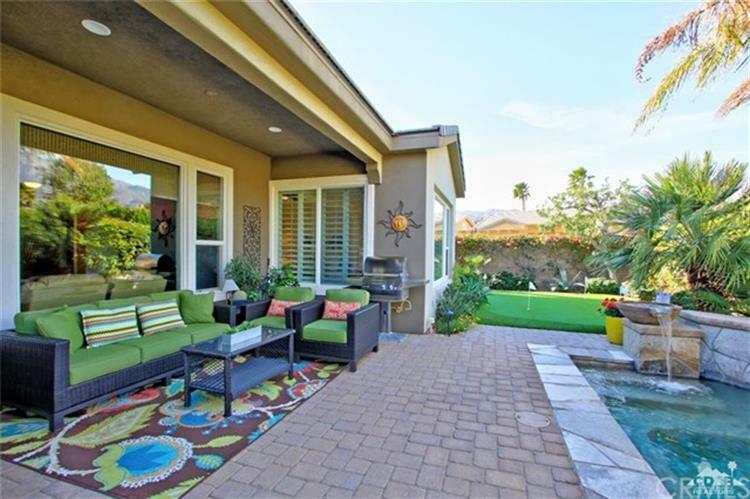 Lush, flowering, courtyard with finished concrete walkways greet the visitor to this Mesquite model with casita and sparkling spool located in the resort community of Trilogy La Quinta. This spacious floor plan provides 2789 sq.ft. 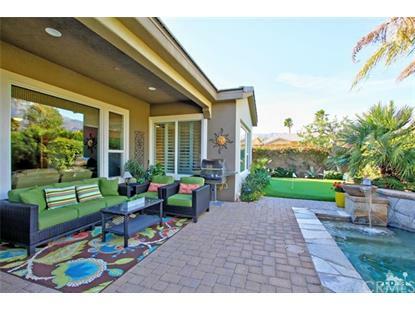 with 4BD/4BA, a large den/office with French doors and a formal dining room. Included are plantation shutters, crown molding and tile throughout the living areas with carpet in the bedrooms. Kitchen has granite countertops, stone tile backsplash, stainless appliances and a large island. Casita and guest suite have private entrances. The large master retreat has lovely natural light, coffered ceilings, en suite bathroom with double shower heads, dual vanities, two walk-in closets, a soaking tub and access to a private patio. The orientation of this home is perfect for the seasonal or full time resident with the south-facing courtyard, west mountain views from patio and spa. Back Nine Greens custom putting green adjacent to spa. Full 3 car garage.